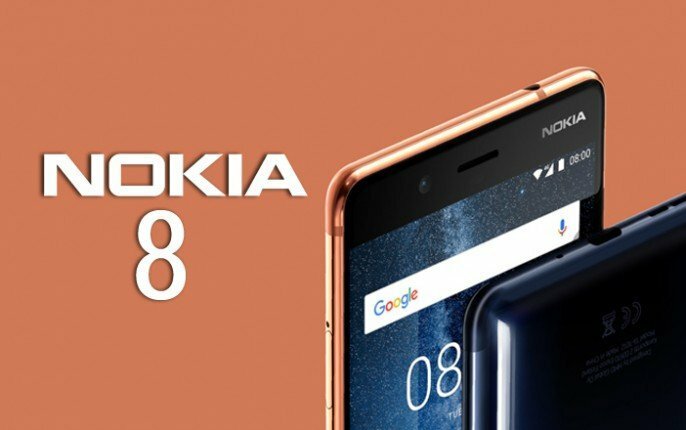 HMD Global has recently unveiled its first Nokia-branded flagship smartphone called as the Nokia 8. 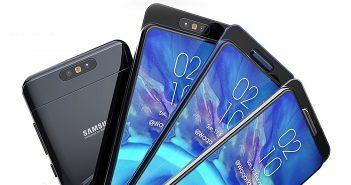 The company had launched a few Android mobiles in the market earlier, but no one boasted top-of-the-line specifications and high-end design. 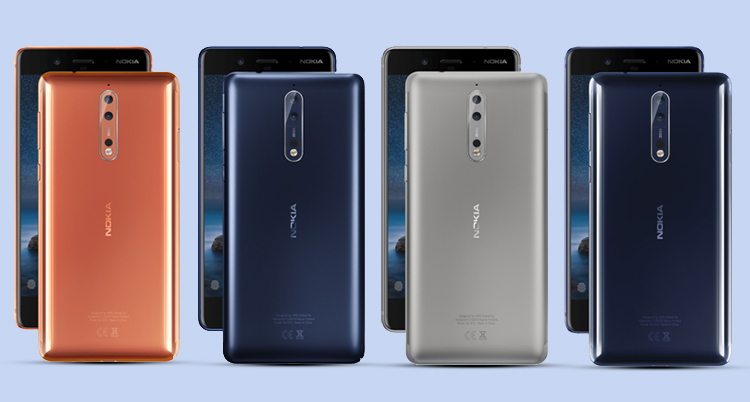 The newly launched Nokia smartphone will go head-to-head with the other flagship smartphones in the high-end market segment. On the design front, the Nokia 8 resembles a lot with the Nokia 5 smartphone. The new Nokia mobile offers a metal unibody design. Underneath, there is a graphic shielded copper cooling pipe which is competent to drive away the heat across the handset. 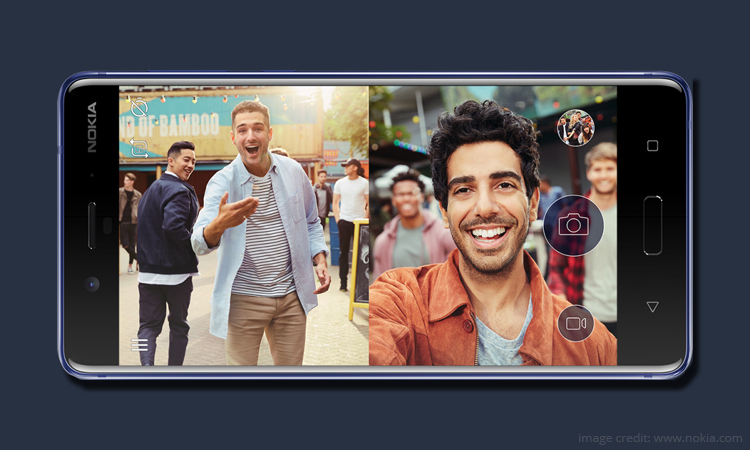 The biggest highlight of new Nokia 8 is its dual rear camera setup. 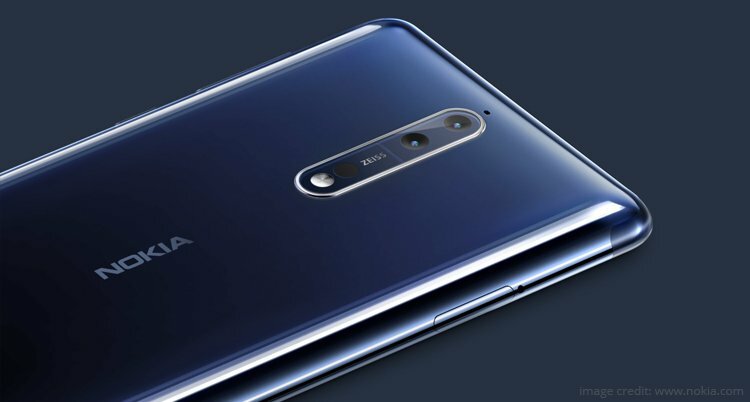 HMD Global had partnered the optics giant Carl ZEISS back in July this year and it has introduced the same camera optics in its new Nokia mobile. The camera module includes a set of two 13MP sensors of which one is an RGB sensor while other is a monochrome sensor. The primary rear cameras offer f/2.0 aperture, Optical Image Stabilisation (OIS), PDAF, and IR range finder. Previously, similar camera setup is seen on the Honor 8 Pro and Huawei P9 smartphones. On the other hand, there is a 13MP front-facing camera on the device for selfies and video calling. The front camera supports f/2.0 aperture, PDAF, and display flash. Coming to the specifications, the Nokia 8 features a 5.3-inch IPS 2K Display. The earlier rumours suggested a 5.7-inch display on Nokia 8, however, the company has launched the phone with a slightly smaller screen. The display is touted to offer insane 700nits of brightness. Moreover, the screen is protected with a Corning Gorilla Glass 5 protection. The smartphone comes with IP54 certification which ensures protection against water splashes. 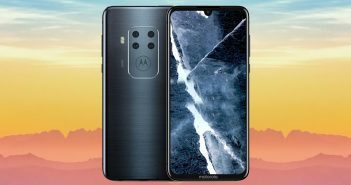 The handset is powered by the latest Qualcomm Snapdragon 835 processor paired with 4GB of RAM, 64GB of internal storage, and external storage of up to 256GB using a microSD card. It draws power from a 3090mAh battery with Quick Charge 3 tech support. The Nokia 8 smartphone packs three microphones for crystal clear audio recording. The company has offered its own OZO audio technology that is capable of recording audio with 360-degree spatial surround sound. Furthermore, the connectivity options on the device include 4G LTE, Wi-Fi, USB Type-C port, Bluetooth, and a 3.5mm audio jack. Also, the latest Nokia smartphone runs on stock Android OS and comes with Android 7.1.1 Nougat version out-of-the-box. Moreover, the company is promising the Android O update on the device once Google releases it. The smartphone will be priced at EUR 599 (roughly Rs 45,000). 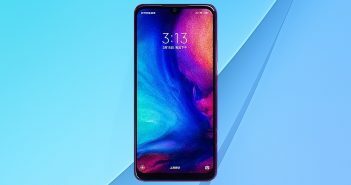 The phone will be available globally in the early September, however, it is expected to come to Indian shores in early October. Looking at the price and features, the Nokia 8 will go head-to-head with OnePlus 5. However, the Nokia 8 looks like a very promising phone.